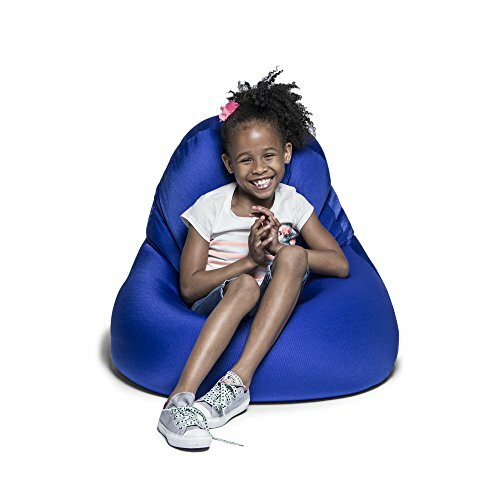 Kids seem to never want to sit still - until they get into a Nimbus Bean Bag Chair that is! It's so comfy they will never want to leave, and so versatile they can do anything with it. Placed upright it functions as a supportive chair for doing homework, or laid flat it's the perfect platform for a cushy afternoon of reading. Basically whatever position makes them comfortable, this bean bag morphs to support every inch of their body. The soft and stretchable spandex cover allows the fine polystyrene beads inside to conform to them, making it ideal for getting support where they need it most. Available in seven vibrant colors, the spandex outer layer is both easy to clean extremely breathable. This chair can find its place anywhere from the playroom to the classroom with ease, and pairs perfectly with the Jaxx Nimbus Ottoman.